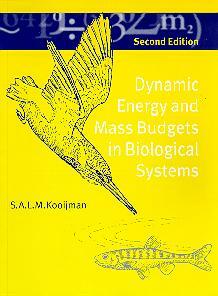 Dynamic Energy Budget theory unifies the commonalities between organisms as prescribed by the implications of energetics, which link different levels of biological organization (cells, organisms and populations). The theory presents simple mechanistic rules that describe the uptake and use of energy and nutrients and the consequences for physiological organization throughout an organism's life cycle, including the relationships between energetics and aging and the effects of toxicants. In this new edition, the theory is broadened to encompass the fluxes of both energy and mass. All living organisms are now covered in a single quantitative framework, the predictions of which are tested against a wide variety of experimental results at the various levels of biological organization. The theory explains many general observations, such as the body size scaling relationships of certain physiological traits, and provides a theoretical basis for the widely used method of indirect calorimetry. In each case, the theory is developed in elementary mathematical terms, but a more detailed discussion of the methodological aspects of mathematical modelling is also included, making the book suitable for biologists and mathematicians with a broad interest in both fundamental and applied quantitative problems in biology. The position of energetics in the biological sciences; historical setting; the methodology of modelling and the philosophical status of biological theories. A systems theory view of individuals; the significance of isomorphism and homeostasis in the light of surface area vs volume relationships; critical evaluation of measures for size, storage and energy; effects of temperature; Synthesizing Units; physiological modes; life histories. A step-by-step discussion of mechanisms of energy uptake and use by individuals with relevance to the DEB model. The fluxes of nutrients directly follow from energy fluxes, given homeostasis. Calorimetry; Simple extensions allow the modelling of drinking and aging. Extensions to more than one substrate, reserve and structural biomass to enhance metabolic versatility. Photosynthesis and plant development, simultaneous nutrient limitation, calcification. Uptake kinetics, effects on physiological targets and their consequences for the population level. Details of specific processes, such as digestion, protein synthesis, and structural homeostasis. Evaluation of changing food densities, shapes and parameter values. Body size scaling relationships; strategies of parameter selection; evolutionary implications. Interaction between organisms: The spectrum from competition to prey-predator systems. Evaluation of the consequences of the DEB model for population dynamics, food chains, and communities. Conceptual aspects; Comparison with other approaches. DEBtool support is available for this book.